Be immersed in the magical world of fermentation and wrap your tastebuds around the salty, sour and spicy delicacy of fermented cabbage. A long-time beloved food ritual of Korea, Kimchi has traditionally been prepared to help families sustain the long cold winter months. Using traditional food processing methods, we will create a beautiful fermented food that is beneficial to our digestive system, boosting our immunity and overall health. Kimchi is rich in vitamins, lactic acid (beneficial digestive), active enzymes and gut-loving bacteria, making it a valuable component of a healthy and supported diet. - An introduction to fermented foods and how they support our diet. 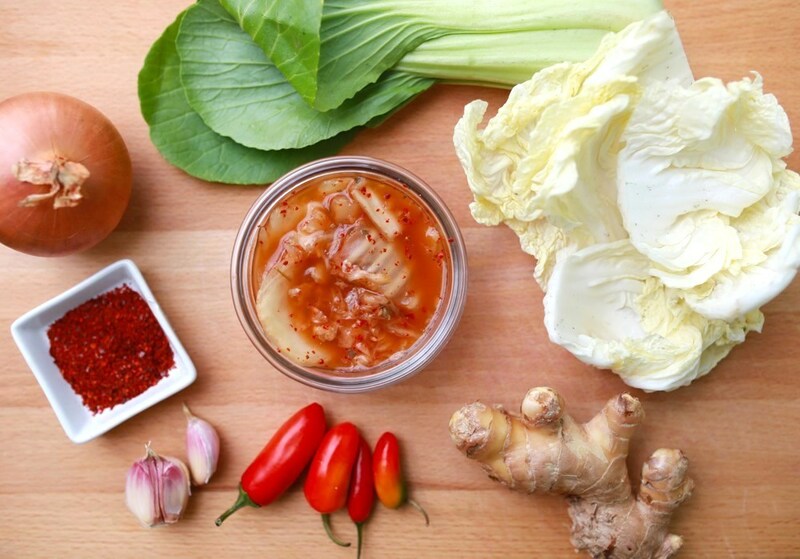 - Using and selecting key ingredients from the kitchen, garden and urban surrounds to use in making our Kimchi. - Working with our hands to prepare and make Kimchi to connect to ourselves and our bodies wisdom. - Exploring wild foods to enhance health properties in Kimchi. - Methods of storage and eating Kimchi. You will go away with your own unique blend of Kimchi, lots of information, and a stronger confidence and appreciation of the tradition and practice of fermenting foods. 12-1pm Lunch following workshop. Please bring a plate of food to share! Limited space of 10 people. For bookings, email Gemma at macri.gemma@gmail.com and if you have any questions. Stay tuned for more classes to follow. I have a passion for food, people and creating warm spaces. Since coming to Melbourne in 2014, I started working in hospitality in a native foods restaurant and connecting with Indigenous people. This rich connection to culture, tradition and the Indigenous way of seeing the land shifted my perspective on food and I have since begun the ever slow journey of being more connected to plant foods and the land around me. Recently graduating from a permaculture design certificate in 2015, I’ve been compelled to explore the relationship between ourselves and nature, where I believe we can find our truest source of food, and deepest nourishment. I’d love to share my journey into wild foods with you and show you the beauty and joy of caring for our bodies and renewing our relationship to the earth and community around us.